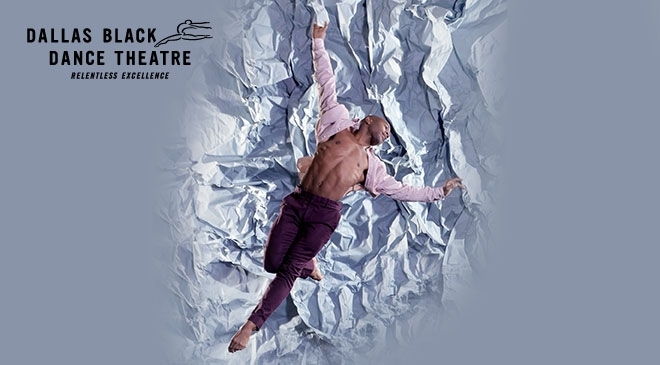 Dallas Black Dance Theatre’s Director’s Choice features some dynamic and powerful works. The Dallas premiere of Bodies as Site of Faith and Protest by choreographer Tommie-Waheed Evans transcribes Dr. Martin Luther King, Jr.’s ‘We Shall Overcome’ speech into dance. Bruce Wood Dance Artistic Director Joy Bollinger’s This Time makes its world premiere during the series with a reflection on the fleeting nature of time in important relationships. The New York Times describes Absolute Rule by New York City choreographers Elisa Monte and David Brown as, “…a virtuosic duet with entangled acrobatics that cleverly describes a male-female relationship.” The strength and stamina of DBDT dancers are showcased as they explore the complexities and layers of life’s unexpected challenges in Dallas Arts District Executive Director Lily Cabatu Weiss’ Thrown for a Loop.